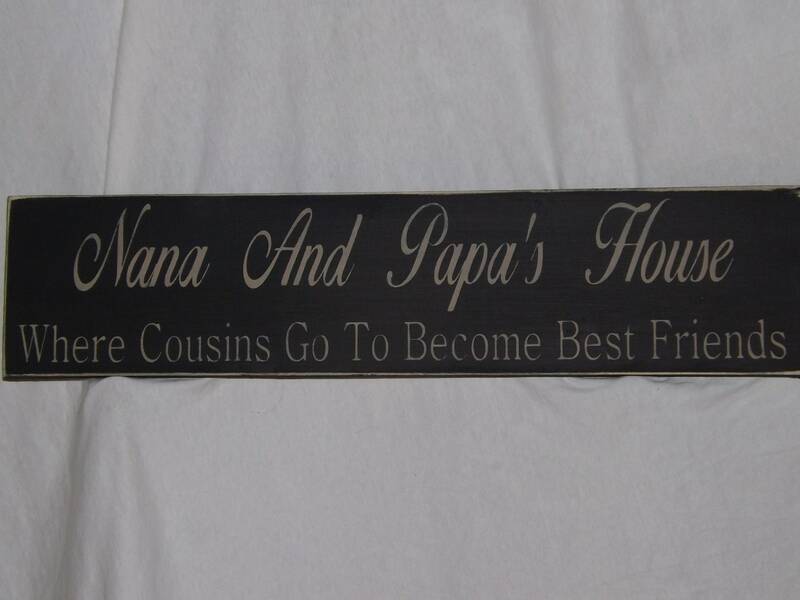 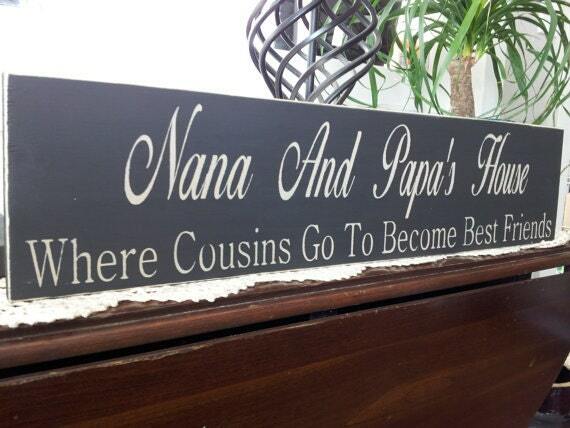 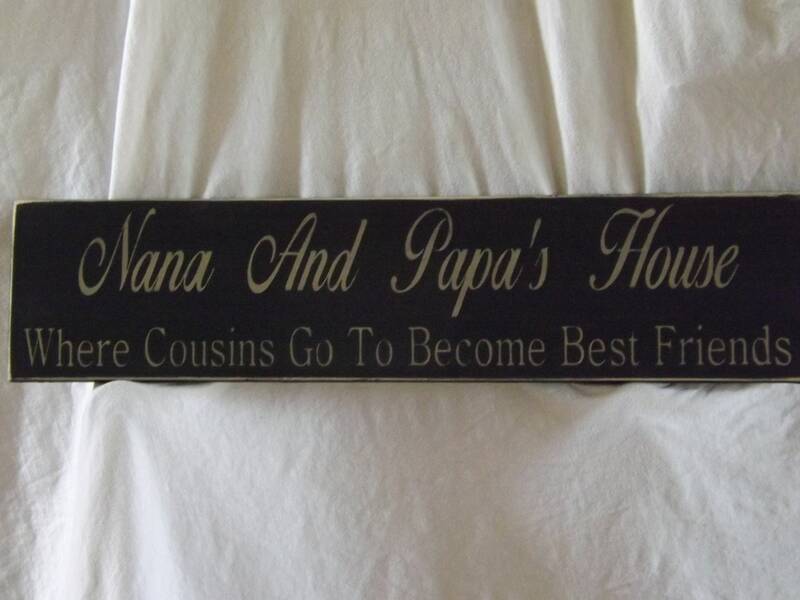 Custom Grandparents Sign - "Nana and Papa's House Where Cousins Go To Become Best Friends"
Our signs are hand made out of solid wood, painted and NOT vinyl lettering, each sign has a saw tooth hook for easy hanging. 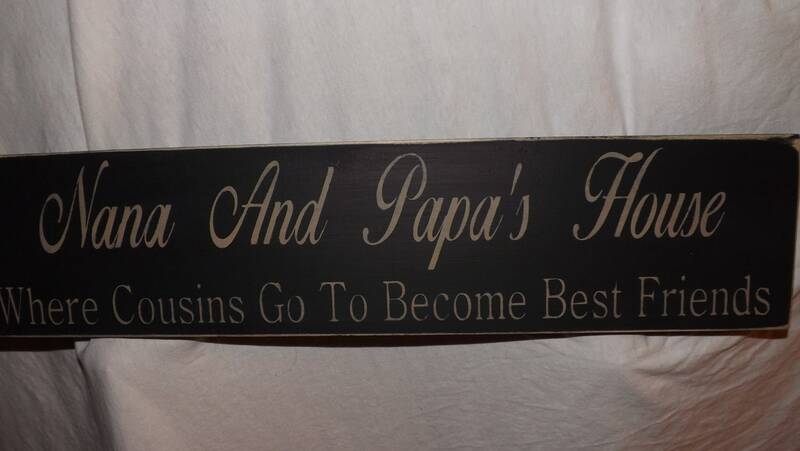 Item shipped on time, just as pictured! 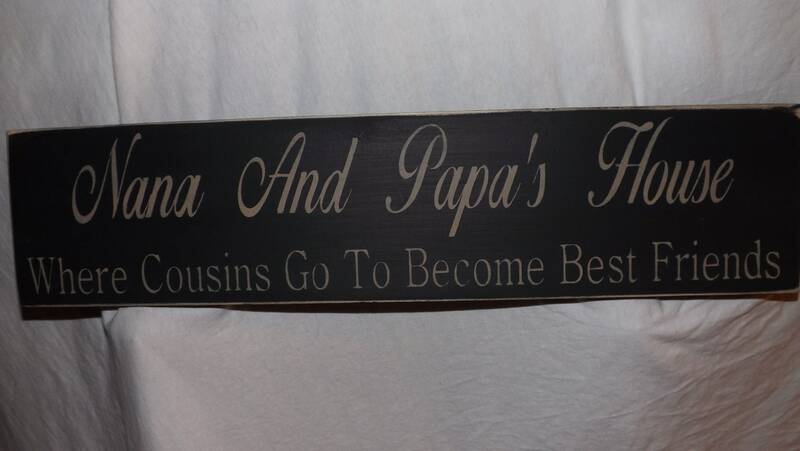 Arrived right on time before Mother's Day was very nice and the seller communicated very well no complaints at all and will order again from this shop!